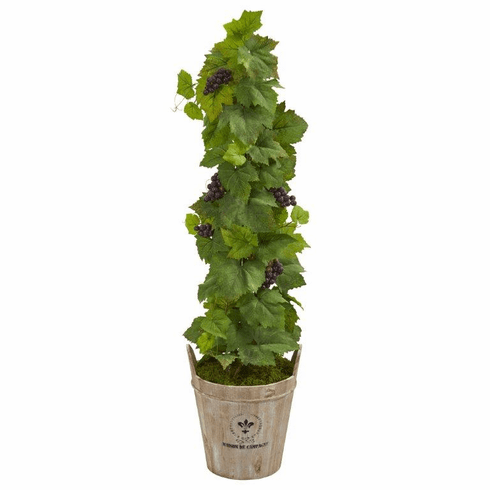 This playful artificial grape plant features plump, purple artificial grapes and large, realistic grape leaves crawling upwards from the included fun barrel planter. A complete arrangement by itself, set it next to your wine rack to set the stage for more ellegance. Size (Including Pot) Height: 3.5 Ft., Width: 15 In., Depth: 14 In.